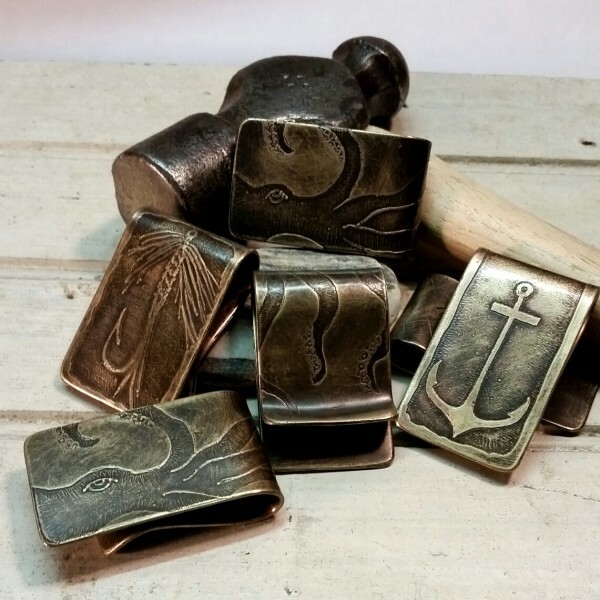 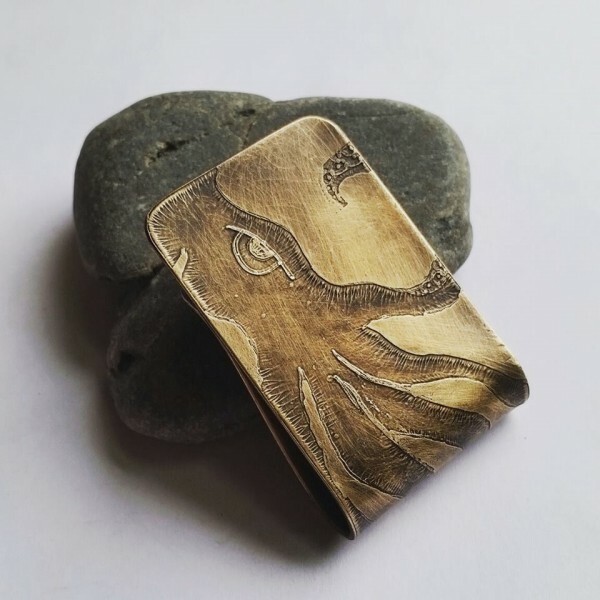 Etched and Oxidized Brass Octopus Money Clip. 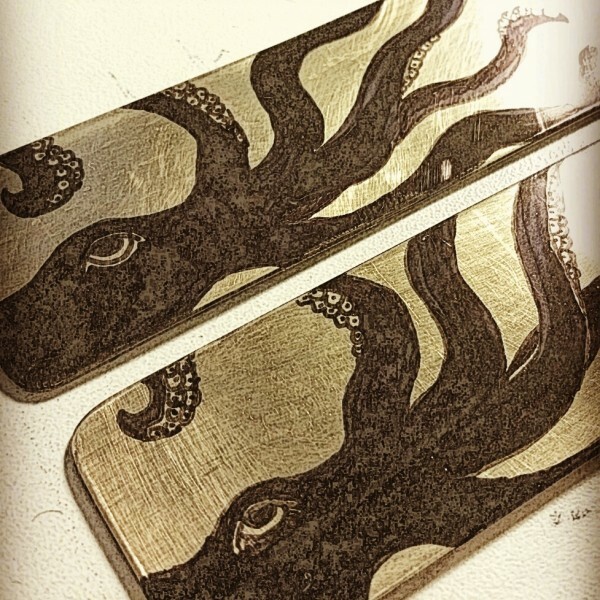 Each one is hand drawn so there will be slight variations. 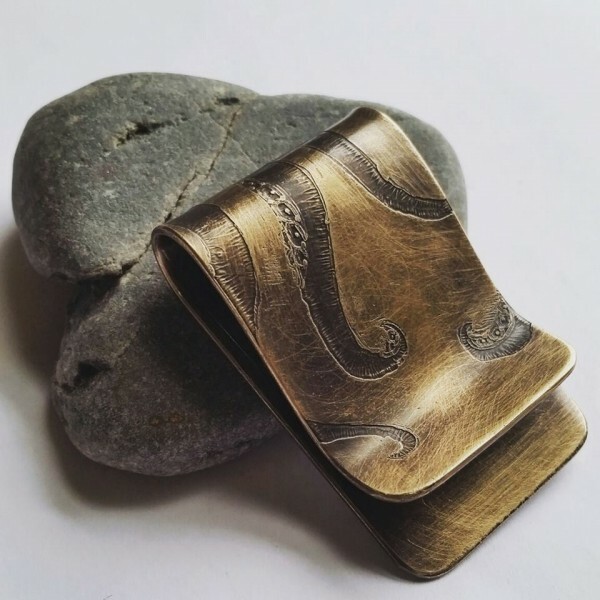 Your money clip design will be unique to you.